These adventures can last anywhere from 1.5-3 hours long, and you can take breaks as needed and then go back up to continue your adventure. 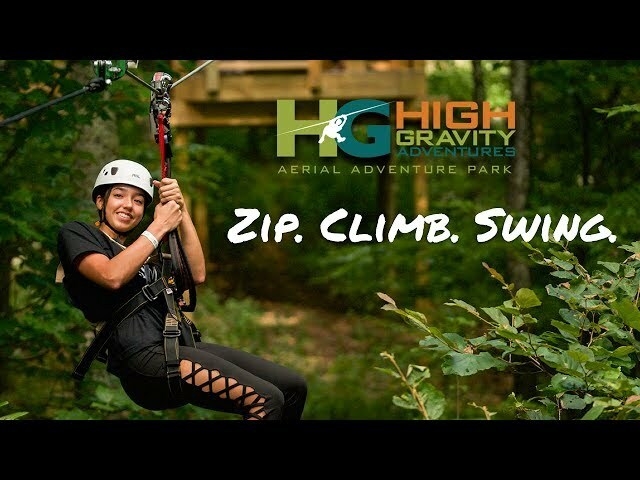 We'll get you all geared up in a harness, helmet & lobster claws before getting you started on our aerial adventure park. Here you'll have up to 3 hours to explore! 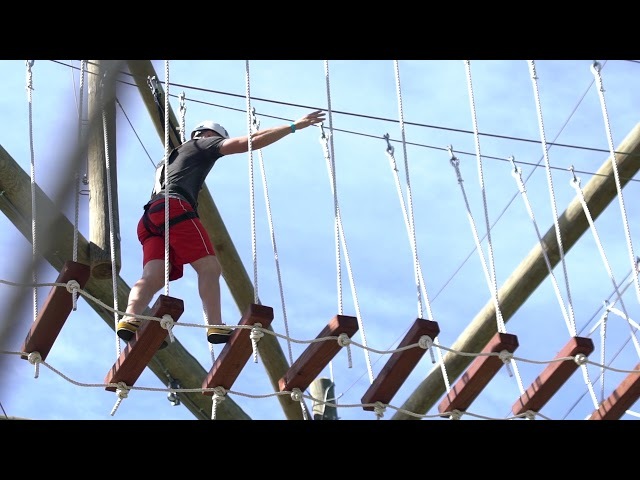 Our Blue Ridge Course has 75+ aerial elements including climbing stations & rappelling stations to explore. These elements are broken up into 3 different levels that all vary in difficulty. You can choose to stay on the first level if that's all your ready for, or you can choose to move to the higher up and more difficult challenges. It's all up to you! Our Foothills Course has 13 elements for your little ones to explore, getting their feet about 15 feet off the ground! This is the perfect way to end your other adventures, and is one of our favorite things to watch people do. 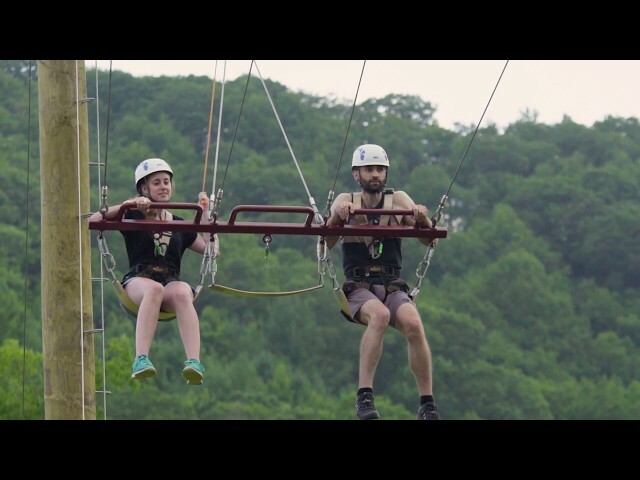 You get in a harness and helmet, get connected to our swing, and get pulled up to a max height of 45 ft in the air. You can choose to swing from lower if you want, but we definitely recommend going to the top. When you pull that ripcord to release your swing it'll start by taking your breath away. Then it'll probably turn to an exhilarated scream. Eventually that scream will turn into a delighted giggle. We've seen it time and time again, and it never gets old! Anywhere from 1-3 ticket holders can ride at a time. Ages 7-10 must ride with an adult. Do it all with our "Ultimate Adventure" ticket!